This is a new pop over version blouse from Kate & Mallory via Evine. My capris are linen from Old Navy found here. My leather flower sandals are last year’s from BJ’s , but they have them again this season. Just in time for my Vegas trip in less than two weeks! Wish I had worn shorter earrings these are too much with the necklace. that I like because I use it to extend the necklace. I loved the ease of linen pants and a loose fitting top today. so perhaps I am on the upswing to healing. Dear Readers, Today I began the end of year testing for my homeshooler and have to say the stress over testing doesn’t even exist for us any more…. I guess with three solid years of experience and knowing that he excels in math and has a wonderful vocabulary as well as strong foundation for punctuation and grammar. With our college children coming home this weekend, we are finishing things up, though he will be homeschooling year round since our year has been a mess with my Ireland trip, and the other children coming home for vacations… We learned a lot this year and recognize that most of the school year gets done by Christmas and that worked with our schedule with college kids in the picture. So, no more month long vacations for me in October, lol…. I am grateful my husband bought a fabulous Tens Unit while in Vegas, and it really did help with my pain! I am grateful for the fun and anticipation this week of my two away at college being home this weekend. Anticipation of events is almost as fabulous as the actual event…. I am grateful that my husband installed a new dishwasher for me last night! 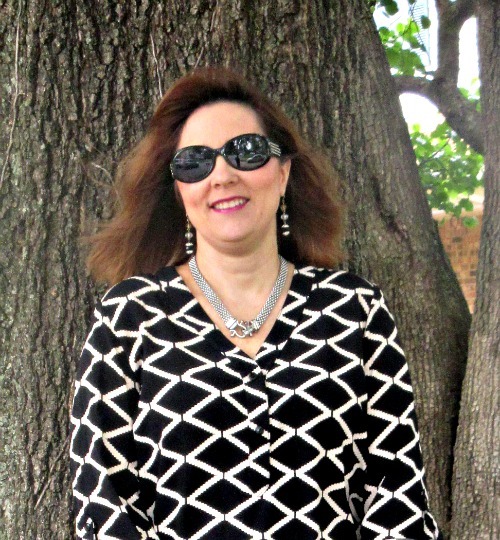 4 Responses to "Black & White is Always Right…"
I hope your back pain will be gone soon! Have a blessed day! Sure will Nicole, thank you!